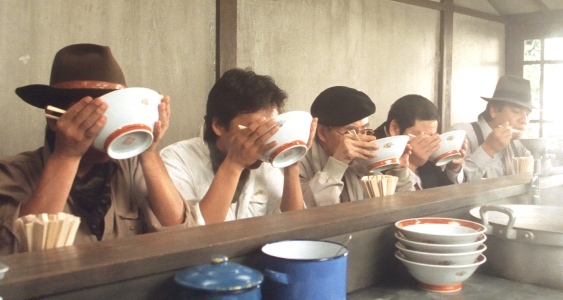 TAMPOPO is a young woman in Tokyo who wants to open her own noodle stand. A couple of guys help her. That’s the plot of this very funny 1985 comedy from Japan. 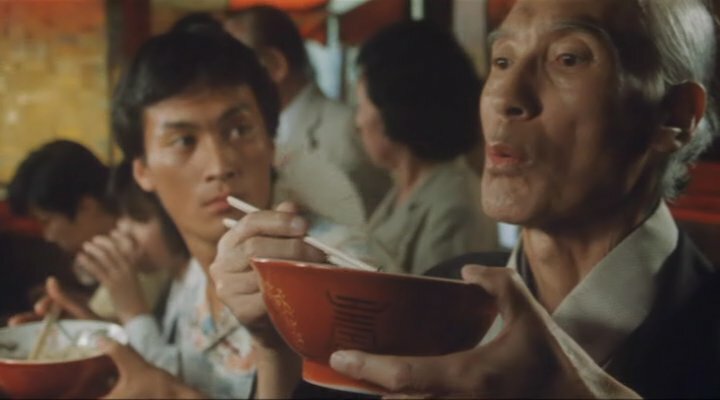 Though a wee longish at 115 minutes, it has a goodly amount of smiles and laughs as it sends up various movie genres while having its characters talk of nothing but noodles, noodles, noodles. Directed and written by Juzo Itami, starring Nobuko Miyamoto, Tsutomu Yamazaki, Ken Watanabe and Koji Yakusho. Learn how to prepare the noodle, how to approach the noodle, how to honor the noodle. Describing this is futile: it must be seen to be fully appreciated. As with the noodle.